We all know how important mobile is to the future of retail. By 2019, mobile advertising should make up 72% of all digital ad spending in the US. 80% of all internet users own a smartphone. 80% of social media usage is spent on mobile devices. More than half of smartphone users grab their phone the second they wake up. The rising popularity of mobile browsing and interactions means that countless companies are looking for ways to improve the way they engage with customers on a mobile level. But, did you know that a smartphone strategy could help you with your in-house retail strategy too? As countless customers search for better experiences with their favorite brands, the right mobile resources could help you to improve customer service, boost satisfaction and meet product demand more easily than ever before. The right apps can help you to enhance the customer journey. So the question is, which retail apps should you be using to delight and engage your consumer base? Click the jump link to get to each retail app category below. One of the biggest challenges facing any retail company is the ability to stay on top of cash flow and financial performance. The good news is that Xero can help you hone in on your performance while you’re on the move. Not only can you design invoices in an instant from your mobile device, but you can also upload receipts and conduct some important tracking activities too. This will let you always know how well you’re doing from an accounting perspective. Xero also comes with a reconciliation feature that allows you to import credit card, bank account and PayPal transactions straight into your mobile dashboard. This means that you can cut the time and effort of managing expenses down to almost zero. 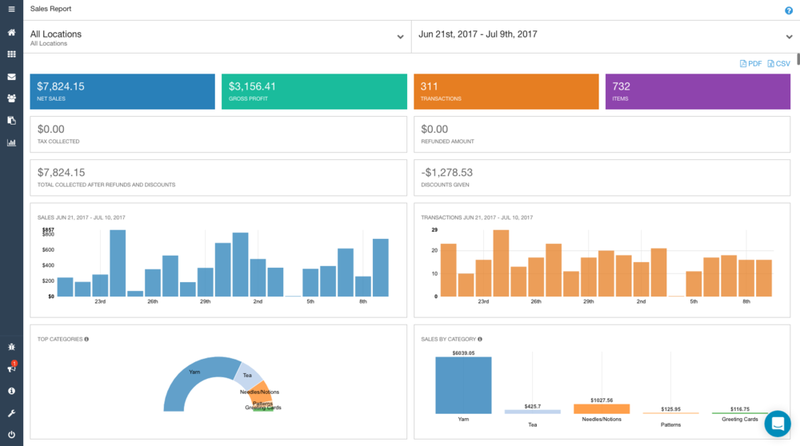 Expensify is another fantastic finance management app that makes it easier for retail companies to keep track of their expenses. You can connect your debit or credit card to your account so charges appear immediately on your app report. You also can simply take pictures of your receipts with your phone and let the system do its magic. This is a great solution for retail companies who need to send employees out on trips without losing track of travel costs and expenses. You can maintain a summary of various accounts at once along with calendars to make managing your business even easier. Expensify allows you to track your expenses based on things like “time spent on the project” or “time traveled.” You can even convert costs for international adventures. There’s more to running a successful store than making sure you have a healthy cash flow. Shopventory allows you to keep track of your product inventory with condition-based alerts. This will prevent you from sending a customer to a competitor. This real-time inventory management system integrates seamlessly with your point-of-sale solution and uses in-depth analytics to let you see your profit management across a particular item, time period or category. This means that you’ll have an easier time organizing your inventory purchases in the future. Because you can see how well each item performs, you can make strategic decisions on which products you should discontinue and what you might need more of the next month. This retail app is particularly useful for growing businesses. If you’re a small retailer who’d rather not invest in an entire point of sale system yet, then PayPal Here could be an essential way to give your customers the freedom they need to shop with you using their credit cards, debit cards and PayPal accounts. You can also use the system to send receipts to your customers via email or text, and check up on your sales history. Not only does PayPal Here allow you to accept payments from basically anywhere, but it also means that you can gather useful information about your shoppers from their PayPal profiles too. The more you learn about your audience, the more you can personalize their experience either in your store or when you decide to start marketing online. Productivity is key to running a successful business, but it’s hard to stay focused in a chaotic environment. RescueTime could be the retail app that helps you to fight back by automatically tracking the time each worker spends on different applications and websites. If you’re concerned that you’re spending too much time on Facebook (and not for social media marketing reasons), then RescueTime can give you an insight into how you’re spending your day. 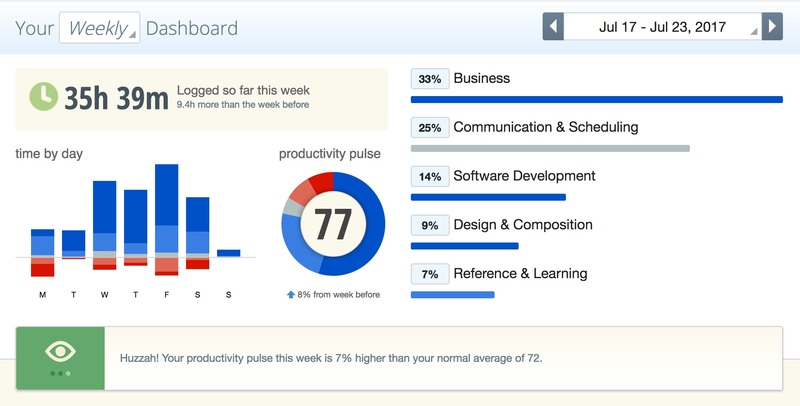 If you find that you could do with a concentration-boost, RescueTime offers a set of custom tools that you can use to manage various distractions. For those worried about their budget, RescueTime comes in both a free and premium model, which includes alerts, the opportunity to block certain distracting websites and more. Sometimes your retail staff needs a little help to perform at their best. Unfortunately, 75% of American workers don’t feel that they have enough access to efficiency-boosting tech. Humanity could be the solution that gives your team the organization they need to thrive. A complete workforce management system, Humanity provides guidance on everything from staff training sessions to leave management, scheduling and even tools for employee communication. If you’re managing people across multiple sites, this retail app also makes it easier to make sure that everyone’s clocking in at the right time, in the right place. This simple app is fast, intuitive and easy to use. It helps employees keep their schedule focused and connect faster with colleagues when they need help. Speaking of ways to keep your employees or coworkers connected, KanbanFlow is a collaboration tool similar to options like Slack or Trello. It allows managers to upload important file attachments, assign tasks to staff and keep track of workflow in a visual way. You can divide the work board easily into columns to get a more complete overview of how your team is doing. 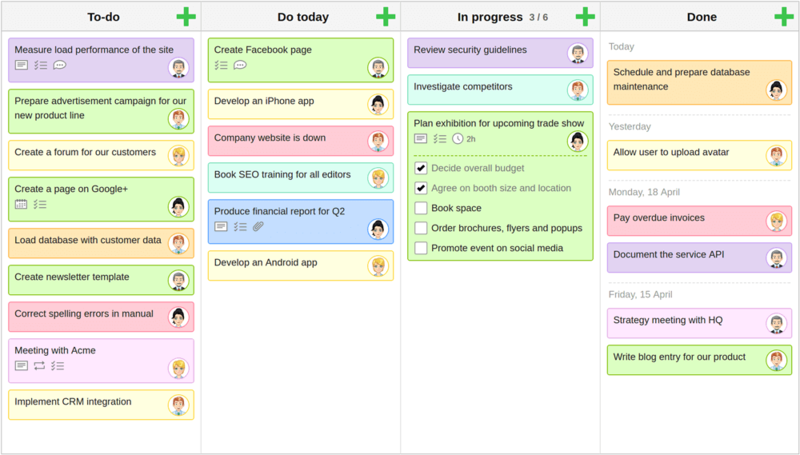 As you might have guessed, the KanbanFlow app uses the “Personal Kanban” method for productivity. This strategy is designed to keep people focused on the task at hand without distracting them with long-term projects or less important concerns. If you’re worried about the productivity of your workers, there’s even a Pomodoro timer built into the app that helps everyone stay on task throughout the day. Retail apps can be an amazing way to keep your team focused and watch over cash flow, but they’re also key to growing your business. As most companies know, social media is essential for developing long-lasting and profitable relationships with your audience. But keeping your social strategy on track while you’re on the go can be difficult. 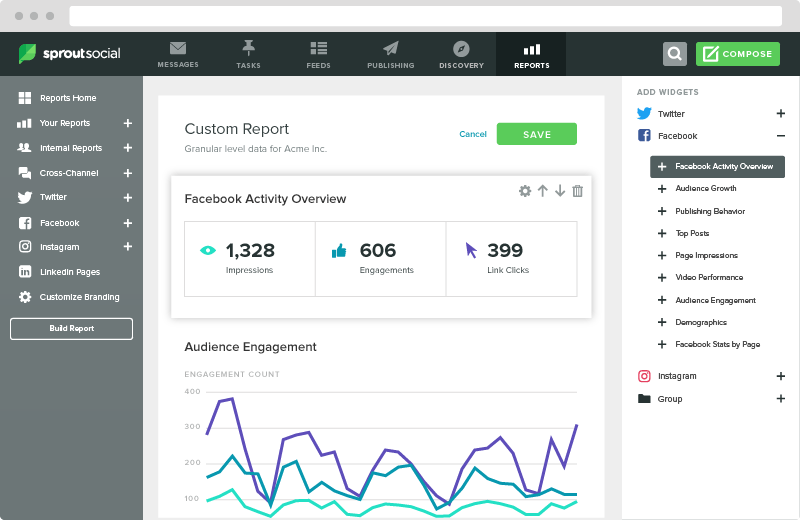 Fortunately, Sprout Social’s app makes social media management easy with one single platform so you can easily handle all your social profiles. You can draft, post and queue new messages in a single window, plan a content calendar on the move and reply to incoming messages, too. 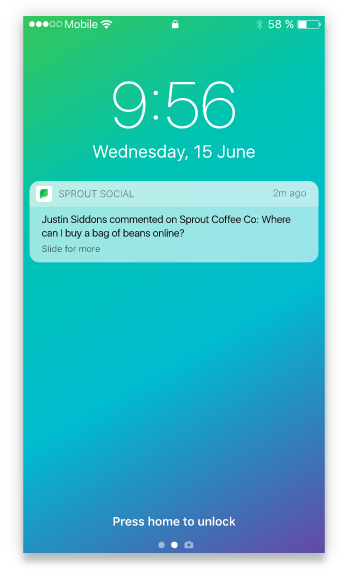 The Sprout Social app also makes it easier to enhance retail productivity by offering solutions for workflow management across your channels and teams. If you’re worried about customer service, you can use your app to respond instantly to social messages too. A simple but effective HTML5 app, SignUpAnywhere is a great option for retailers who want to build their email subscriber list on the go. 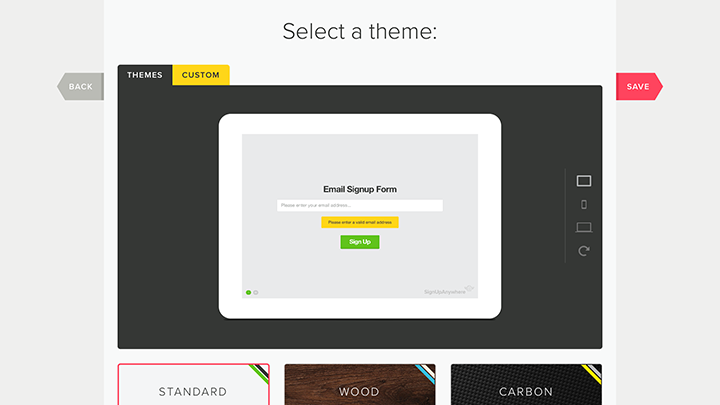 All you need to do to is sign up for an account and you can start growing your email list with every customer that visits your store. You can choose whether to sync your app to other programs for email marketing like CampaignMonitor and MailChimp and download the email addresses that you collect within a matter of seconds. As retail apps go, this is ideal for businesses who want to collect leads when they’re in-person, at a trade show, or, gathering intel through a local event. There’s no need to carry a clunky clipboard around with you on the go or collect addresses on a note platform just to have to spend forever transferring them over when you’re back in the office or at home. SignUpAnywhere allows you to take your lead generation efforts with you wherever you go. An in-store analytics application designed to collect and evaluate huge amounts of data from within your retail environment, RetailNext can give businesses actionable insights into who their customers are and how you can earn their loyalty. RetailNext is a very clever little app, which can tap into information from your point of sale systems, promotional calendars and video cameras to find out more about how you work as a business. Once it gathers all the data it needs, the app simply wraps it all up into a neat graph or report that makes it easier for you to understand what you’re looking at. RetailNext basically helps retailers to know more about their performance, so that they can do more for their customers and profit margin. With a few simple graphs, you can increase loyalty and improve the performance of your team in no time. Time for a Retail Revolution? The chances are that you’ve already thought about the power of mobile marketing and mobile selling for your business, but if you’re a brick-and-mortar store or a growing company, then you might want to consider the value of apps for your in-house performance. Applications aren’t just a way to have fun when you’re bored at the office or simplify sending emails to your colleagues. They’re also a fantastic solution for boosting productivity in the workplace, enhancing lead development, and simplifying resource management. Need an edge for your business? Well, there’s an app for that.